This is a great ball. I don't know how it hasn't gotten reviews. I got this ball because I recently switched from using my thumb, to just palming it with two fingers. My rev rate went from 225 to 375 and this gave me problems controlling reactive equipment. Something to work on over time. Anyway, this ball has helped tremendously in giving me something to control with this higher rev rate. I have used it on 34 and 38 foot sport shot patterns and no problem getting a good move to pocket from outside. I have also tried a blue hammer and BTU peal. This is better for my needs than both. The problem with urethane is, it's not really a light oil ball. It rolls early. Sometimes the outside is too dry for it, and inside to slick and can't find a right place in between. 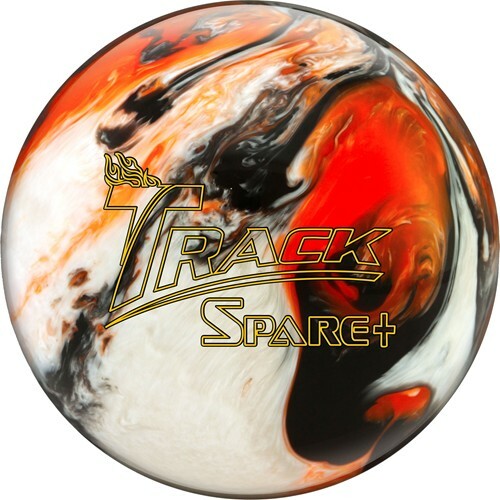 The Spare+ will project down the lane and not make a mess out of condition with carry down. The core give the ball a different motion than a regular plastic ball. When the lane is played correctly for the ball (from the outside on dry lanes) it has plenty of power. Dislikes: Well, not going to move deep inside with it, but that's not the point. Page created in 0.626 seconds with 23 queries.